Other scientists and scholars' introductions, in full length, as published in Ove von Spaeth's "Prophet and Unknown Genius", VOLUME 5 of his book-series "Assassinating Moses". - In addition, the table of Contents of Vol. 5. A sensational account of the first prophet of the Bible - Moses. Ove von Spaeth provides an impressive depiction of a man straddling the dividing line between history and prehistory and who according to this congenial depiction actually created this line. The presentation is executed in a refreshingly purposeful way - and with an unusually fine classification of the prolific material. The broad perspective is additionally supported by the consideration that the text is not borne by a continued discussion of predecessors' views of on the topics, a principle which in this context is by no means objectionable and naturally follows the same procedure that are the hallmark of the five books of the series - these volumes are like brethren, a gigantic work - and a giant's work. The admiration of the work's main character is captivating, and the sources trotted out by the author bear witness to a fantastically erudite author whose method of presentation enables the reader to span vast distances in time and argumentation. ..."
With regard to Ove von Spaeth, I have to be perfectly true. This man is indeed unique. Time after time - again and again, I am amazed by his texts. Perhaps they're not always the quickest books to read that's true, but calmly studying them provides much more value, enlightenment, and knowledge. Ove von Spaeth is knowledgeable of historical sciences and possesses amazing knowledge, but I am more astonished by everything else he is in addition: surprisingly well informed on astronomy, philosophy, history from antiquity to the present, legends, traditions, sagas and myths, studied in the Bible, and linguistically oriented in Hebrew, Greek, Latin and more. But among the best attributes of all is Ove von Spaeth's ability to intuitively pursue comparative, unprejudiced studies and research so that every source and aspect illustrates the matters and makes his texts as important - and valuable. This is more than good - it is unique excellence. What impresses me and that which I find to be of particular interest is the entire Biblical-astronomical research presented throughout the texts. Von Spaeth propels the Bible and its books into an overwhelming light of knowledge, insight, and wisdom - a truly divine source of eternal wonder in continual development. I know what I'm talking about when I assess his work. But most of all, he knows what he's talking about. "... An impressive piece of work which may prove to be a momentous contribution to the discussion, in my opinion. ..."
Contents - of Vol. 5: "Prophet and Unknown Genius"
Sophisticated philosophy early in Antiquity. - Was Moses 'imitated' by Plato? A special year on which to model Moses' calendar? - "The gift" from Moses. Mythology contributed to the presentation of the law. - Age of the law? The Ten Commandments written using world's first alphabet. - Moses' name found in Sinai? PREFACE BY AUTHOR: The re-evaluation of the historical Moses' work and status - presented also through series of special treaties within his books - is based on interdisciplinary scientific and cultural historical research, connecting archaeological findings, textual research, and astronomical dating, all being evaluated in relation to the Bible, the Rabbinical Writings, and various important authors of Antiquity. Many handed-down sources and findings have, for the first time, been put into a greater context and should be judged in its entirety. The clues and indications presented should be considered a "special offer" to further research. Latin Philology: Peter Zeeberg, PhD, Latin Language and Literature, Professor, Copenhagen University,& The Society for Danish Language and Literature. Glaciochronologi: Claus Hammer, Ph.D., Professor, Geophysical Dep., The Niels Bohr Institute, University of Copenhagen. Further thanks to: Rune Engelbreth Larsen, M.A. in History of Ideas and History of Religion; - Erik Dal, Ph.D., Chief librarian, The Royal National Library of Denmark, Copenhagen; - Eva Björnböl, Research-librarian, Cairo; - Jannie Fursund, LLD, Assistant Professor; - Christoffer Gertz Bech, M.A. in Philosophy and Greek Philology; - Jeppe Berg Sandvej, Ph.D., in Theology and History of Ideas; - Erling Haagensen, Writer, and Film Director; - Asmus Koefoed, Bach.Phys. ; - Sidney Maage, Principal, Ministry of Defences; - Karine Smidth, Journalist - Anny Höegh, superv., DI; - Sven Tito Achen, Symbology Historian, and Council Secretary, formerly The Danish Research Council for the Humanities; - Bodil Eeg Neumann, Techn.A. ; - Henry Lincoln, Writer, Researcher; - Raymond Bildstedfelt, Inf.Director, DI; - Guni Martin, Instructor, Writer, Publisher; - Marianne Illum, proofreader; - Evan Bogan, Publ. Director; - The Staff of The Royal National Library of Denmark, and of Dep. II of the Copenhagen University Library; - Construction of Computer Programs: Laurids Pedersen, Nysted, DK; - Cynthia Gyldenholm, Translator; - Ulla Hoff, H.D., English language, Translator; - Astronomical Computer Calculations: Jarl Hansen, Macro Systems Internet, Coín, Spain. - Special thanks to C.A. Reitzel's Publishing Director, Svend Olufsen, who, with his great commitment has published this book-series. Volume 5 of the series "Assassinating Moses"
The book utilizes and re-vitalizes unique material from new discoveries and finds, revealing unknown aspects of the enigma of the historical Moses. As well, it uncovers Moses' far-ranging and exceptional achievements as recorded in rare and ancient sources. The Mosaic Law, for example, is a most advanced ancient code with remarkably modern elements: environmental laws, social laws, asylum rights, human rights law, debt relief, animal protection, hygiene rules, and military ethics. In addition, the book uncovers an astronomical background for the Pentateuch texts which mention stars and celestial bodies as well as his calendar for the Israelites. The book contains a comprehensive presentation of historical relationships to the world's first alphabet - the Sinai-alphabet - also indicated in the Bible which is the oldest book written with the use of the alphabet. Moses is one of our early history's most insightful and spiritual personalities. The book brings to life unique material about Moses' extraordinary and eventful background in and outside of Egypt. Key Phrases : Moses as a general, the ten plagues of Egypt, Pharaoh's wars, the world's oldest alphabet, the Laws of Moses, Torah, religion and law, Jewish lunar calendar, Egyptian astronomy, ancient historical knowledge, philosophy, alchemy in the Bible, archaeology, anthropology, chronology research, cultural history, star cult, religious history, the Ten Commandments, theology, dream omens, oracles, Tabernackle, Sinai excavations, Cadmus, the Old Testament, Pentateuch, the five Books of Moses, Exodus, creation myths, Egyptology, Ove von Spaeth, Philo, Josephus, Diodorus, Herodotus, mythology research, Thebes. The Volume 5 about the historical Moses opens to a current rediscovery of his astonishing influence on the past, already troubled Middle East - and also connecting important special circumstances today. A number of enigmatic features in many important ancient documents have now been more clarified by an extraordinary research work. It is new and exciting information that we now are getting access to. In everyday language and in our conceptual world Moses appears more frequently than most other older biblical characters. But who was he really? This book vitalizes unique materials of new discoveries and interesting finds, revealing new aspects of the enigma of Moses at important historical interrelationships. His code of law is surveyed and enlightening its ethical survival factors which are essential to this very day as well. - What could provoke the ten plagues of Egypt? - Did Moses' text on the Creation contain secret Egyptian knowledge? - How could Moses have invented the alphabet? - What did Moses know, in the scriptures, about the stars? Moses is known as one of the most insightful and spiritual personalities of early recorded history. After several decades of painstaking research into the sources of ancient history, the book introduces a number of surprising discoveries about Moses, brought to light through years of meticulous research. Moses appears more frequently in our modern usage and conceptual framework than most other Biblical figures. But what was his real identity? Many oft-suppressed sources have been studied and compared to the most recent achievements of research. This includes the revelation of several items of previously unnoticed evidence about Moses' historic and dramatic fate, in and outside of Ancient Egypt. The unusual data about Moses' status and activities include several rediscovered historical pieces of information previously rejected by researchers due to the more limited perspective of their respective eras. Some of these notions, such as that Moses was a fictional character, gained a foothold in scientific approaches - even to this very day. But there is simply too much evidence and tradition to enable his historical presence to be wiped out. A bibliography of rare great proportions is added to the book, additionally supplemented and updated by sources from the other volumes. It probably constitutes the most comprehensive collection of scientific works, articles and treatises about Moses in the world. The book also includes a comprehensive bibliography of Egyptian astronomy and chronology. In the book, a series of previously enigmatic circumstances in the old scriptures about Moses are presented with a direct connection to ancient history. The new, specific and interesting information, which hereby receives a wider audience, is in several instances actually capable of renewing and expanding knowledge of Moses and his continued influence down through the ages. Based on a series of often rarely explored ancient sources about Moses the new book introduces much ignored evidence material concerning his actual historical existence and dramatic fate - some concrete facts indicating very precisely his presence in ancient Egypt. Hitherto, it had surprised researchers, even for centuries, that Moses should not have left any trace in Pharaoh's land. Moses - although well-known from the Old Testament as the person who liberated Israelites from Egyptian suppression and in the desert gave his people the stone tables with the law - the Law of Moses. However, it is a fact that he was so much more (a true renaissance man - by a modern expression) which is highlighted in this volume with a characterization of Moses as a military strategist, architect, magician, astronomer, alchemist, legislator, philosopher, and with a main influence on the invention of the letter alphabet. Thus an unusual personality, an ancient polymath - about whom the book carefully is documenting the many sources including some startling discoveries of information. Each of the individual chapters can stand alone by itself and be read independently - an important background in the whole picture is that Moses was originally known as a son of Queen Hatshepsut who early in her life was chosen crown princess and had the true title "Pharaoh's daughter". In the same whole picture belongs that Moses was educated to be a successor of the Pharaoh but was through intrigues tricked from achieving the throne, an event which became the incentive for Moses starting a rebellion: - he then turned to the Hebrew (Israelite, later Jewish) people and lead their exodus out of Egypt. In the same time he let this people be carrier of a new religion, in fact, this religion naturally contains some ancient Egyptian elements of world conception and spiritual knowledge. 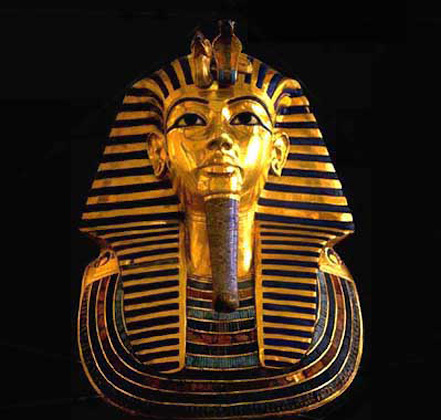 As a heir to the throne Moses has been inaugurated to the innermost core of the Egyptian mystery cult which he renewed and in a fruitful generating form passed on to the world. The book clarifies the interesting scenario - and how it can be observed in minute detail in the Rabbinical Writings and other ancient sources - concerning how Moses was forced away from Pharaoh's court; and moreover, the crucial moment when he placed himself at the head of the Hebrew-Israelite immigrant workers. In the same time it can now be seen more specifically how Moses ably exploited the early tension field of the Middle East and with these Israelite groups eventually launched a revolt in Egypt. When this failed, only then the Israelites sought new land. In addition, the book illuminates many notable events from the Israelite desert journey where the Bible's texts about Moses have focused more on many other things than to illustrate the direct historical context. By a first impression the biblical texts about Moses seem to create a picture of a bunch of subdued 'slaves' fleeing from being maltreated. But there is no usable explanation of how such a slave flock could leave Egypt, armed as an army, and it also has to ne noted that among these refugees there could be treasures enough to produce a golden calf in the desert. The Bible's Moses narrative by itself is not mostly occupied with giving answers to these questions, and modern theological research is often without a clue and then got lost in a jungle of theories only. However, this is precisely why it is so important to read this new and comprising research with its answers to these and many other puzzles - by using a genuine historical path and with the support also by antiquity's most original contemporary texts. Moses was the first known founder of a religion. But the book is also showing its traces of a synthesis of the ancient Egyptian spiritual knowledge. It is a historical fact that early traces of "monotheism" (actually monolatry) with the teachings about one chosen (creator)god rather than the group of different gods, were known in Egypt in 1400 century BC - i.e. in the era of Moses. According to the writers of antiquity, Moses wanted to establish his own ideas about a reforming of the Egyptian religion. The priesthood obviously had good reasons to protect itself. The present book also provides information about Manetho, the Egyptian-Greek writer, 280 BC, who had access to the famous Alexandrian Library documents which Pharaoh Ptolemy had ordered collected from all the ancient Egyptian temple libraries. Manetho informs us that Moses had presented a programme with religious reforms already prior to the exodus from Egypt, and that his accession as leader of the revolt took place in the Lower Egyptian town of On, Heliopolis, 'the city of the sun'. The Moses religion was, naturally, influenced also of the past, but an important command was that "thou shalt love thy neighbour as thyself". It was later, when Jesus was quoting Moses, this proverb got its widely known significance in Christianity. The new religion is the first known mainly textual religion, to which Moses' books from the outset have been written using the alphabet (and not Egyptian hieroglyphs) - thus known in its most original form at Sinai. This place is the also from the Bible known refuge where Moses later during the exodus began his writings. Could it be Moses who on the basis of the Egyptian hieroglyphic characters became the "inventor" of the alphabet? In the same district with Jethro's small temple Moses had his revelation at the burning thorn bush, and later revelation during the desert journey has also taken place here on the Sinai Peninsula. Less known is also the probable explanation about why Moses chose just the Jethro residence at the only temple in Sinai, as a refuge. Jethro is believed to have been extremely well-versed in Egyptian religious traditions, and there may be a connection between this shrine and the find of the world's oldest alphabetical writing on the walls of nearby existing copper mine tunnels. The inscriptions are enigmatic; but some of them seem to refer to e.g. both "the overseer of the temple treasure" and "Hatshepsut's Moses". The fact that Moses is being connected with the alphabetic invention is almost neglected in modern time - although this concept was clear to many writers of antiquity and in the ancient Rabbinical Writings, and also the Bible and later the Quran. Generally, the alphabet is dated to around 1500 BC, i.e. precisely the same period as with Moses. The alphabet is distinguished from older writing systems, such as the hieroglyphs, by being mainly phonetic based and useable in all languages. The Bible was the first book in the world with the use of the alphabet. And author Ove von Spaeth's exciting tracing the birth of the alphabet is pleasantly analytical and is also to be experienced as an eventful expedition. According to the well-known fact that previous biblical research on Moses has become somewhat stagnant especially because of three main error estimates. Namely, either Moses is claimed a myth figure; or that he is incorrectly dated very late; or the Moses texts was allegedly written by priestly writers thousand years after the Moses era. Especially valuable for concrete understanding is the fact that the book brings to light several new-orientating circumstances of the ancient writings, and directly demonstrates their coherent relations with the history of antiquity. The tangible exciting information now accessible to a large audience, reinforce our awareness of the roots of our heritage and makes them more live to us. Any detailed study of specific personalities of the Old Testament will have to start with Moses, the founder of the religious Israelite nation and timeless as the great inspirator of the later prophets. This is the fifth and final volume in Ove von Spaeth's impressive series on the historical and biblical Moses. The text provides unusual observations presenting an inter-disciplinary achievement, a work which includes many often rare religious and ancient historical sources. Also, it is highly inspiring reading when even in our modern times it makes a virtual impact that 3,500 years ago Moses was connected to so impressive and surprising facts in our early historical and cultural heritage. With this book one of history's great figures from the myth's misty world - to which he had long been banished - has now been retrieved to plain reality. The author points out the distinctive point that Moses never created a big empire, he never built a great metropolis, but he has exerted his influence on a significant part of the world's cultural history - and contributed here furthermore with an important base in Western history of ideas. Moses never created a great empire, he had never built a big metropolis, but placed at one of history and culture's important thresholds, he has exercised influence later over a significant part of world's cultural history. In traditional literature of historical research and of theology and biblical research Moses has mostly been regarded as identical with the biblical picture of him - despite knowing that the Bible was early treated by text editors. In addition, in recent research schools he has even been declared non-existent. But the verifiable time measuring through astronomical science methods can - despite modern biblical research's hypotheses - helping to re-establish the Pentateuch's basic writer also in the precise framework of Egypt's history : Moses' historical existence is restored. Even under experts' possible disagreements about details, however, the obtained data could pave the way to clarify some of the lesser known sides of Moses' genius, not mentioned in the Bible, but dealt with by other ancient sources. Such will be able to contribute to the source data can be understood more extensively. In its entirety there has here been demonstrated many new specific materials about ancient Moses, which has increased the realistic basis ffor transforming the myth-like view of him. Moses will again be positioned as a concrete figure, whose work is among the most significant in our history. - More about the contents: Information points on the Volume 5 of the series "Assassinating Moses"
The book-series on the historical Moses is now finalized. This is to extend sincere thanks to researchers and other devoted helpers (some from the very beginning), who have all helped with tireless efforts and shown great confidence and a courageous personal support, despite resistance against the project from other parts, which could have caused annoyance from academic colleagues. For instance, already upon publication of the first volume, some Egyptologists from the universities declared openly in the Berlingske Tidende (a renown Danish newspaper) on August 3, 1999 that they (quote:) - would "fight against this book for many years to come" and, also, many theologians followed this lead continuously. Yet - despite all the peculiar troubles, also in the technical matters - all perseveringly overcome - the 5 volumes are now published, and the series are handsomely finalized. Therefore, also thanks for the great confidence and back up, very faithfully done by Mr. Svend Olufsen, the courageous - and visionary - head of C.A. Reitzel Bookseller and Publisher, Ltd. - In Denmark the publication of the long-term work of research was so admirably done despite the above mentioned opposition and without in any way having received financial aid or any other kind of support from either private or public means and funds. Ove von Spaeth, Vedbaek, February-March, 2005.